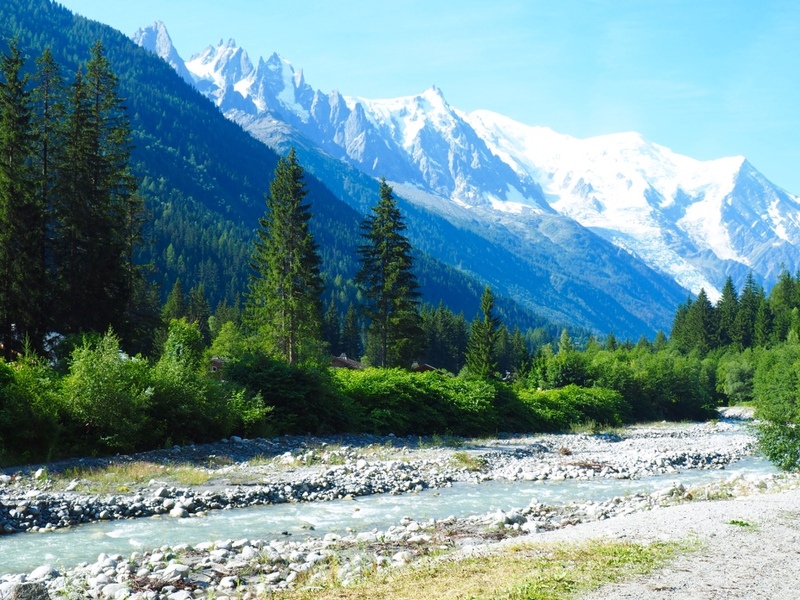 What a treat it was to enjoy a leisurely breakfast this morning, knowing that we had only a short walk back to Chamonix, the starting and finishing point of our Tour du Mont Blanc. Plenty of time for a second cup of coffee! We chose the path along the River L'Arve for our final 5 1/2 mile walk. 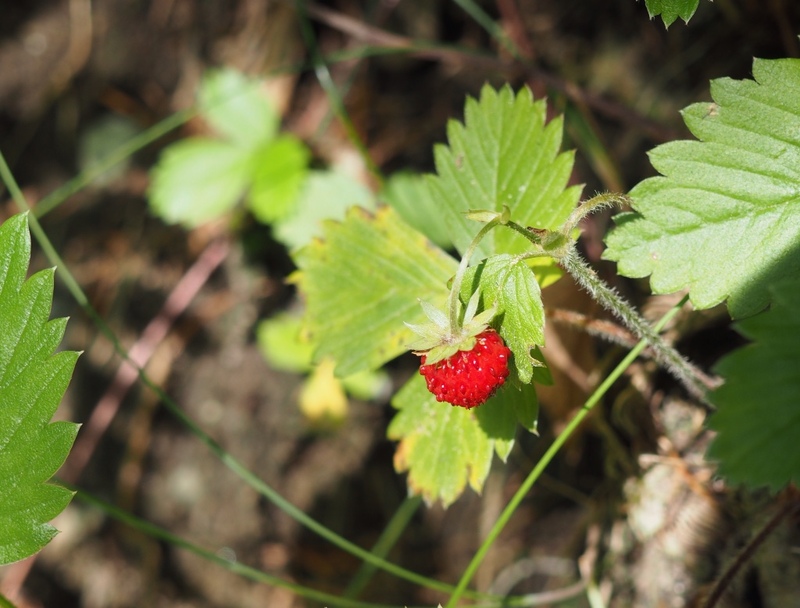 This looked like a tiny strawberry growing alongside the trail. 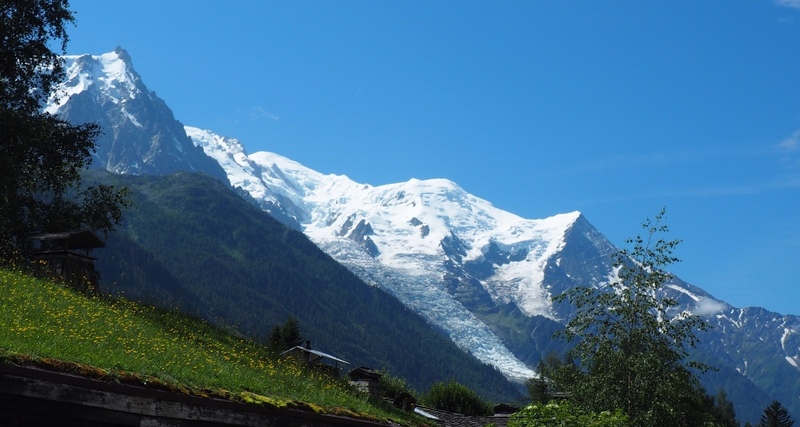 Clouds prevented us from seeing Mont Blanc in Chamonix when we began our trek. Clear skies today allowed the mountain to dominate. We have yet to tire of this view. 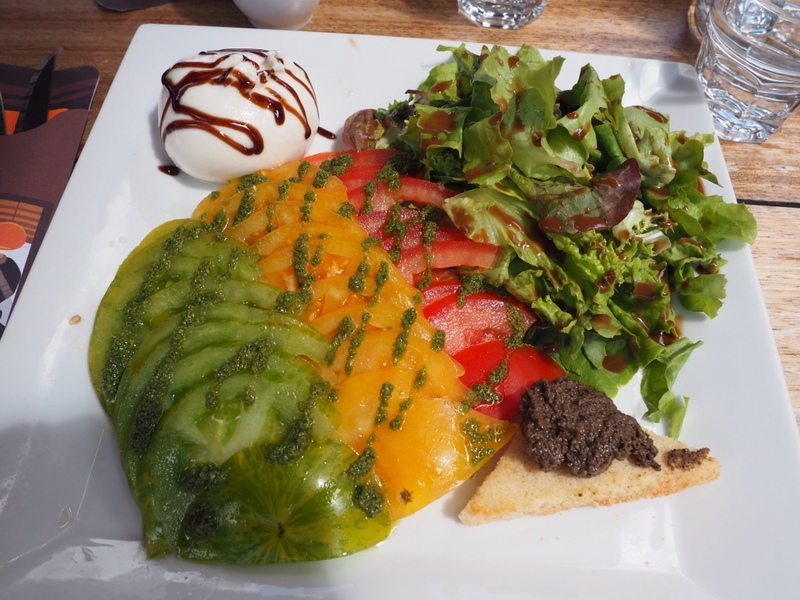 We arrived in Chamonix just in time for lunch, where we enjoyed a Mozza Salad at a little sidewalk cafe. What a wonderful experience you are having! I have so enjoyed all your posts & the scenery is unsurpassable! Thanks Nancy. It has been a challenging, beautiful journey. So glad you enjoyed our story! Thank you, Carolyn. We wish you safe travels home.